All smiles in the winners’ enclosure! 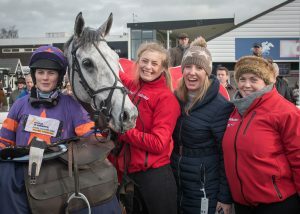 Team Skelton celebrated another milestone for the season with their 150th winner at Uttoxeter on Saturday. 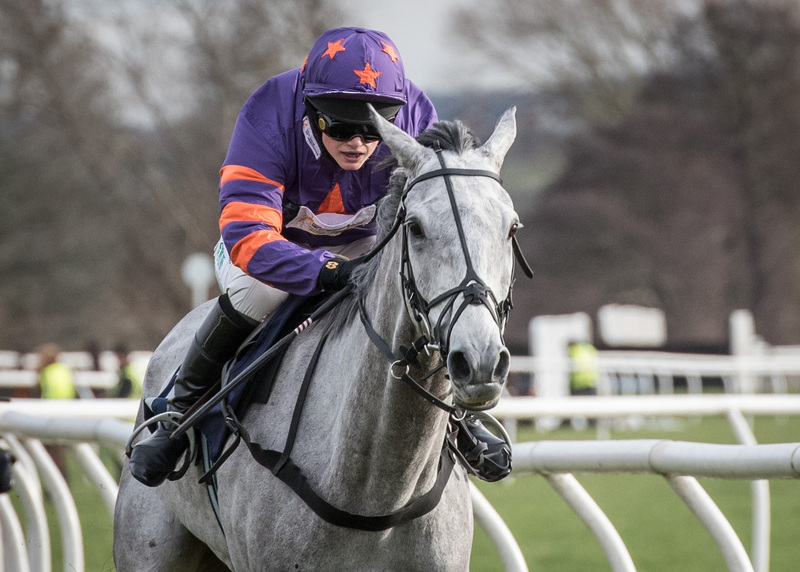 With Bridget Andrews in the saddle, Judy Craymer’s talented grey Betameche got off the mark over hurdles at the third time of asking and in impressive style, readily holding off his nearest challengers for a six-length victory. His win was all the more special as it has been a long road back to the winners’ enclosure since scoring in a Wetherby bumper in April 2016. 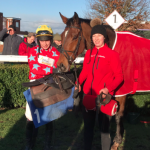 Thanks to the patience of his adoring owner & plenty of hard work by the team at home – in particular Hollie Rooney who looks after & rides ‘Bets’ every day – everyone was delighted to see the horse back to winning ways and confirming the promise he had shown early in his career. This week has been disrupted somewhat due to some unhelpful weather, although to have got this far into the season without too many enforced hold-ups has been fairly extraordinary. 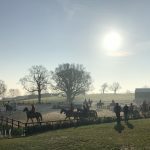 The gang at home have been doing a great job this week to keep the show on the road, with the lads out early gritting the yards & the tractor keeping the gallop well prepared; overnight temperatures of -8º have meant a bit of a struggle this morning however! 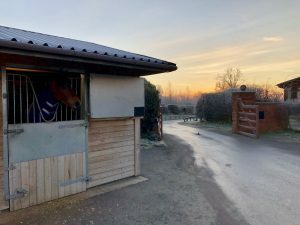 The team has three runners declared at Chepstow tomorrow and will wait on the result of their inspection this afternoon, and with plenty of entries at both Wetherby and Sandown on Saturday will keep fingers crossed that we are able to get the intended runners out & about over the weekend.